As an executive coach, I work with high potential leaders preparing for broader responsibility and future progression. I coach clients to identify and leverage strengths and create a plan of action to address skill gaps. For example, I have successfully coached clients to communicate with greater clarity and confidence, embrace a broader perspective, to coach and engage the team and nurture relationships at all levels in the organization. I have coached hundreds of clients to take a more active and strategic approach in managing their careers – to know their strengths and passions, to continually build their skills and their brand, to be alert to opportunity and connected in their areas of interest. I draw on earlier experience in executive search when advising clients on resume and interview approaches that set candidates apart. As a consultant I help organizations hire and promote the right people for key management and specialist roles. I don’t find candidates but rather, recommend a selection approach and tools that ensure the successful candidate fits their culture and requirements. I have a Masters degree in psychology and use assessments extensively to provide insight for leadership, team and career development and to support ‘best practice” selection and promotion. Examples include 360 feedback instruments, the Myers-Briggs Type Indicator, The Attentional and Interpersonal Style Inventory (TAIS) and the EQ-i 2.0 to name a few. I have presented at a variety of corporate and professional events on the topics such as emotional intelligence, employee engagement and personality style. While experience has been the best teacher, I am committed to ongoing professional development to stay current in my field. I am a Certified Management Consultant (CMC), a Professional Certified Coach (PCC) and member of the International Coach Federation and a Career Management Fellow (CMF) through the Institute of Career Certification International all professional bodies which subscribe to the highest standards of ethics and professionalism. Leadership Intelligence is a boutique management consulting and executive coaching professional services firm that specializes in providing leading edge strategic change management services and leadership development solutions to Canada’s most respected organizations. The Leadership Intelligence Coaching Community is a network of certified coaches who have been through a rigorous vetting and induction process. 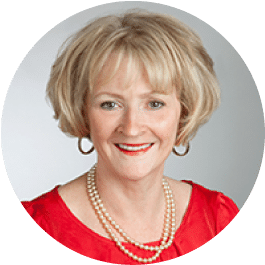 Elaine has been a member of the Leadership Intelligence Coaching Community since its inception in 2007. Her particular areas of expertise include psychological assessment and career management and leadership development coaching. HR-Fusion Inc. is a Human Resources management practice that provides a full range of HR solutions with a business focus. Based in Hamilton ON, HR-Fusion forms the nucleus of a network of specialists who serve the diverse HR and business needs of their clients. Elaine formed a strategic alliance with HR-Fusion in 2011 providing service primarily in the areas of career assessment and transition.